Candles for many of us are one the vital ingredients to making, our home, well, our home. Candles can make a room smell and look incredible, but buying the wrong one can create the opposite effect. With a huge selection on the market it can be difficult to know where to start, especially when trying to balance out the right scent for the right room, for the right environment, the right season and of course for the right price. 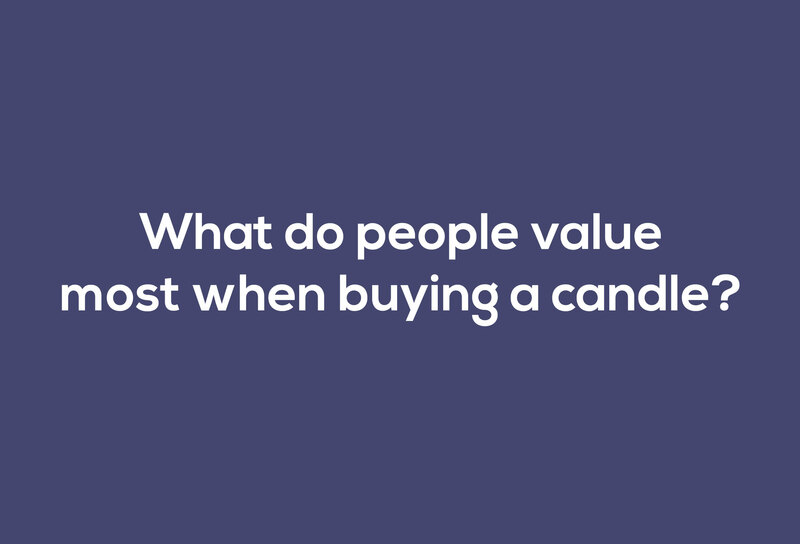 We take a look at what the top 4 factors people value most when buying a candle. 1. Value for money – Getting the right value for money is important to a lot of people when buying a candle. Candle prices can go through the roof with the likes of Burberry charging £295 for fragrance candles, Fornasetti £140 and Cire Trudon Abd El Kader £195. At the same time, popping to Tesco and spending £1.99 on a scented candle may be equally as damaging in a different kind of way, exerting a quite horrific pong that lingers for what seems like an eternity. We think a good price for a candle will typically start from £25. In most of cases £25-£50 is where you are getting a high quality wax and scent from a reputable brand. Once you start going north of £50 you start paying for the brand rather than the fragrance. 2. Fragrance – Quite obviously the scent of the candle is amongst the most important things people value most when buying a candle. Gwyneth Paltrow talking about candles said “I love the smell of lilies and paperwhites” and Beyonce said “Even when I’m away, I have someone burn them. I like having the scent in my pillows”. Getting the right fragrance that you can connect with is truly important. 4. Different Room, Different Vibe, Different Scent – Nicole Richie “I really love the relaxed vibe of friends sitting on the floor candles burning, and listening to music”. Getting the right candle for the right room is important to create the ambience that you want. Fragrance expert Rayda Vega says you need to think of it like music. “you’d usually want soft background music. A subtle floral is a scent equivalent to that”. With this in mind, you need to think carefully about the setting and mood you want to create for each room of your home and use the different candles scents accordingly. You should also keep in mind when doing this the different seasons. Ultimately, we all value different things, and that’s never as true as it is with something as personal as candles. What is most important is for you to choose a candle that feels right for you.